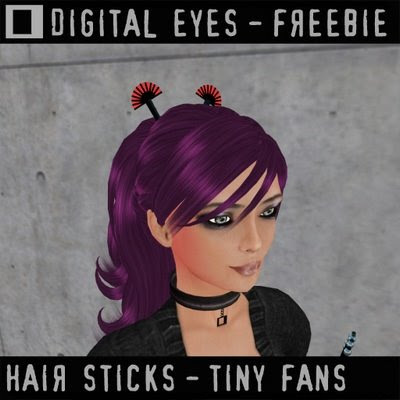 Went out clubbing IRL and my long hair were annoying me so when I came back home and in SL I made hair sticks with tiny fans. You'll ask me what's the link? Well there is none but as they are cute I have decided to give them for one linden dollar.